Our Linda Wrap Dress pattern was just updated + a discount code! We are so glad to introduce you to the Linda Wrap Dress 2.0. In addition to upgrading the look of the information package like we did for the Stephanie Skirt, we decided to make additional changes based on the amazing feedback of our development group. Updated grading: while we really thought that the Linda was to be worn very loose, we realize that most of you are more comfortable in a slightly more fitted dress. Thus, we moved the grading down one size. For instance, on the old version of Linda, if you used size 42, it is now labeled as size 44 in the new version. Cleaner pattern pieces: we removed the seam lines, to help making the pieces clearer. We also changed the print marks so that pages are less busy. Less pages in the print-at-home format: a benefit of sizing down the pattern is that it now prints with less pages, the letter format requires 28 pages (versus 32 in the old version) and the A4 format 27 pages (30 in the previous one). The new information file contains fabric recommendations and a PDF layout for our 4 printing options. We have also added technical illustrations of the belt construction to the Resource Page since it seems to have been a bit problematic for sewists. We very much look forward to hearing your thoughts about the changes! Tomorrow we will be back to show the work of our testers, they all did an amazing job. As a thank you for your trust and patience, we would like to offer you 15% off the Linda Wrap Dress sewing pattern, valid until the end of November. 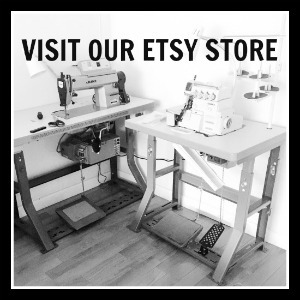 Simply use the code UPDATEDLINDA15 at checkout in our Etsy Store! Updated pleated skirt, meet the Stephanie Skirt!